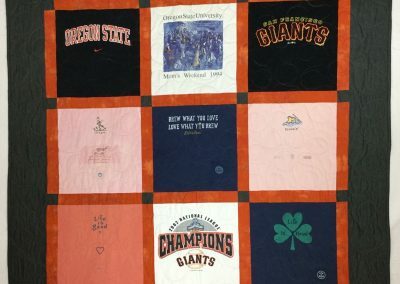 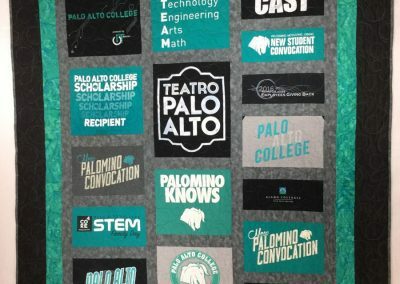 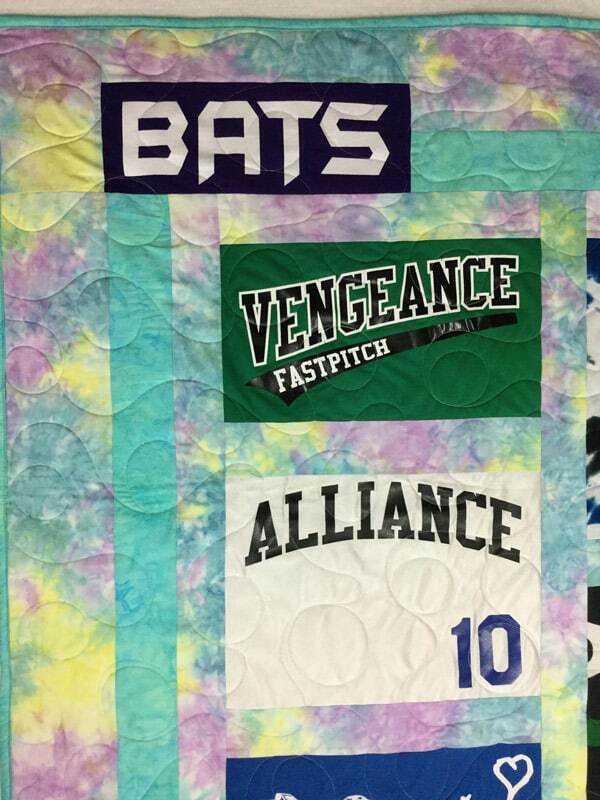 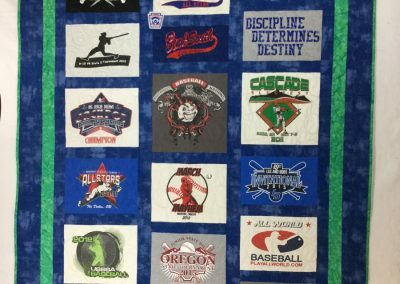 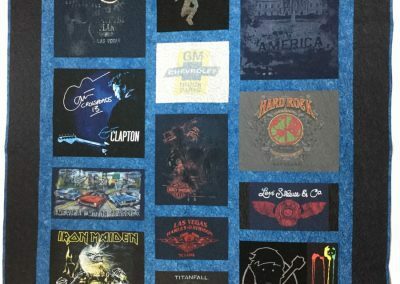 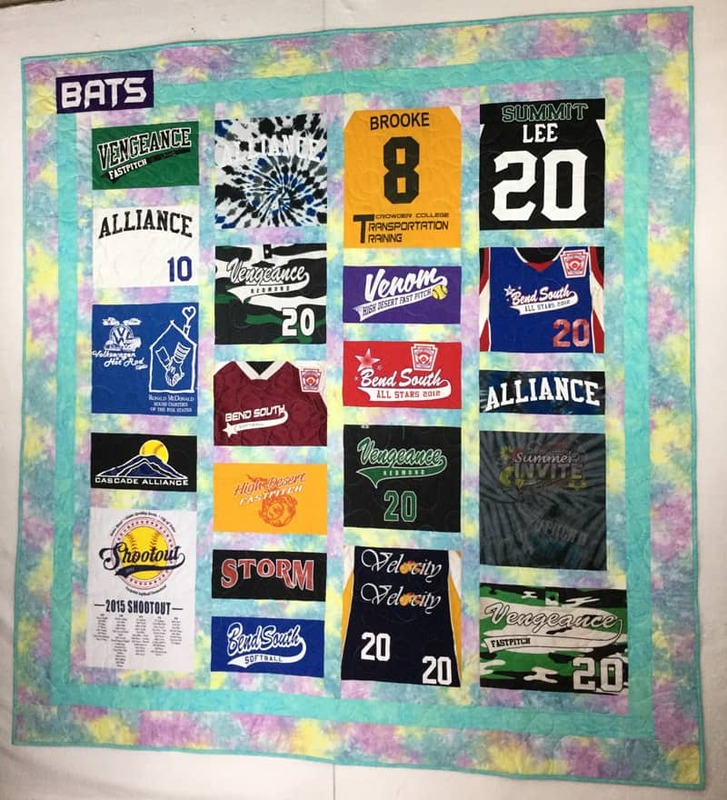 I recently had the pleasure of making this softball theme quilt as a graduation gift. 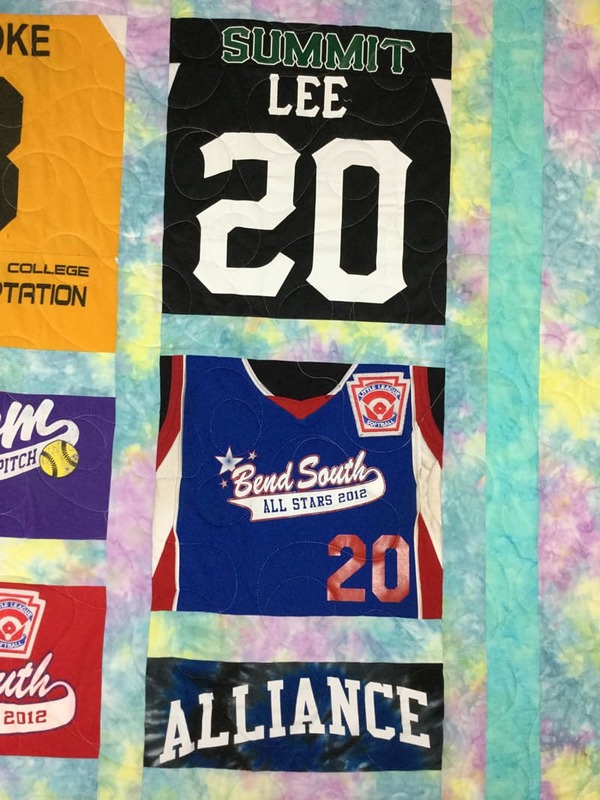 The young woman who received this quilt has been playing ball from a young age, starting with t-ball. 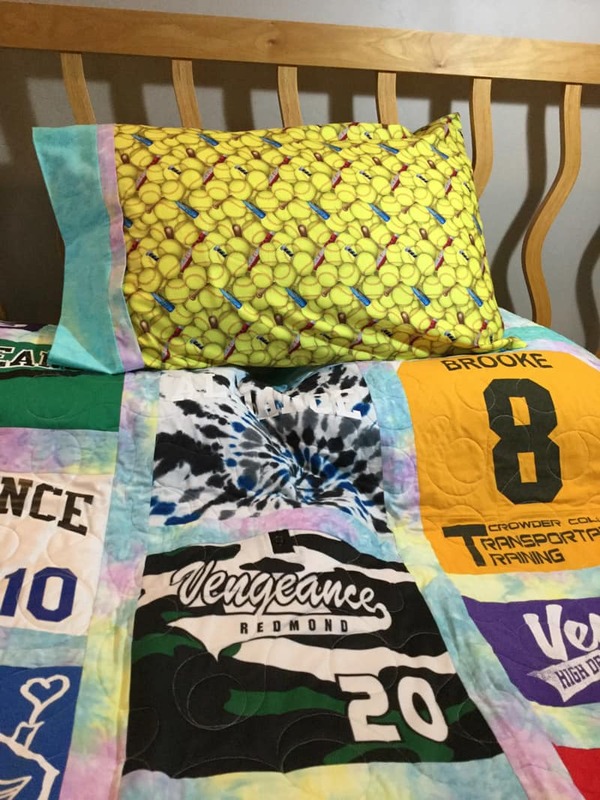 As an added bonus I made a matching pillow case!